​It’s the last day of 2018 and I’m up before the rest of the family, although that’s no mean feat. Its 10:00 am! I’m glad some of us are enjoying our winter holiday from school and work and that’s a good thing. It’s a good thing to be awake too, because the coffee is on and I get to enjoy some quiet reading time. Right now I’m reading The Things We Wish Were True. Its engaging, alternating between various point of view characters much like my current writing project. Last year I managed to immerse myself in ‘good things’ enough times that I read 50 books. I know! Think of how many barre classes that could add up to; how many binge sessions watching something or other on Netflix. What can I say? I have no regrets. I love stories and maybe I was so immersed it saved me from excess trips raiding the kids Halloween and Easter stashes. See? We are all happy. For you ‘non-readers’ out there you might be wondering, “Does this woman not have a life? Does she keep a tally beside her bedside table or what?” Well…I’m about to blow you non-readers away: we’ve got apps for that, haha. Two reader’s apps that I’m on are Goodreads (see my complete list of books read in 2018 here) and Litsy. Litsy is a bit more interactive and a cross between Instagram and Goodreads, but I like how you can keep lists on Goodreads and I use it more often. 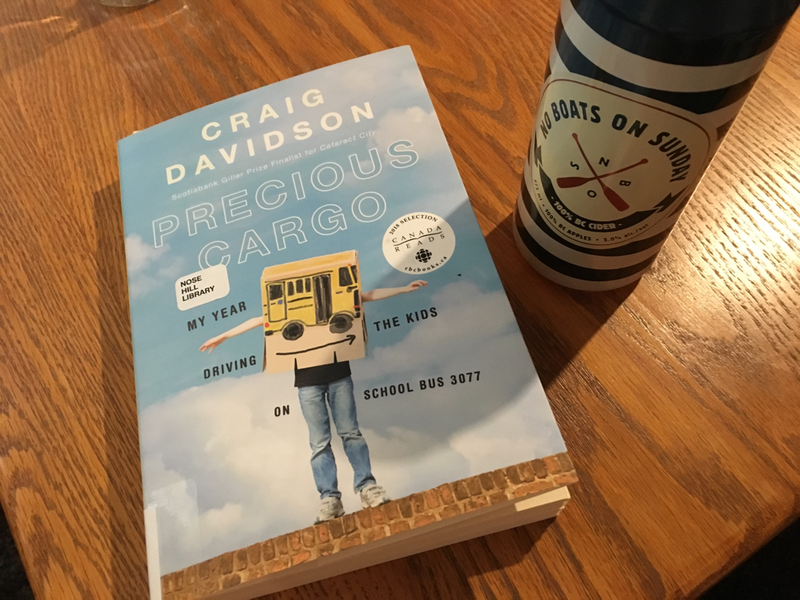 ​Joy’s Pick for Memoir: Precious Cargo: My Year of Driving the Kids on School Bus 3077. Although I mainly read fiction I decided to pick this book up after meeting the author. Craig's a great speaker, writer, human. And married to a social worker so obviously makes good choices (haha...much like me and my husband!) Precious Cargo takes place in my home town (Calgary, Alberta) so its fun to know the names and streets and communities the author is talking about. 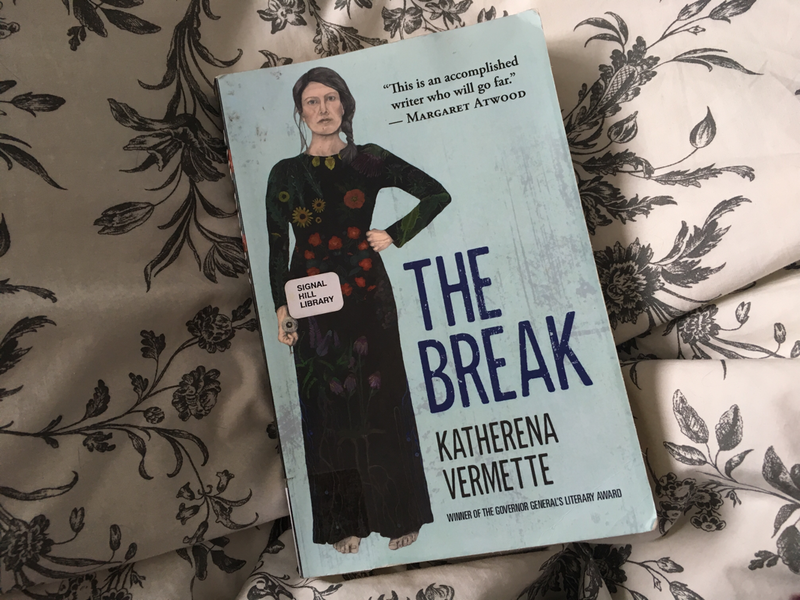 Joy’s Pick for Canadian Fiction: The Break. Okay, the act of putting this book list together made me realize how many stories centre around violence against women, child or vulnerable animal. The Break is right up there on that account so you’ve got to be strong to read it. Regardless, you should read it: the state of violence against Indigenous Women in Canada is horrendous and appalling. This particular story is balanced with beautiful and lyrical language, strong female characters and HOPE. 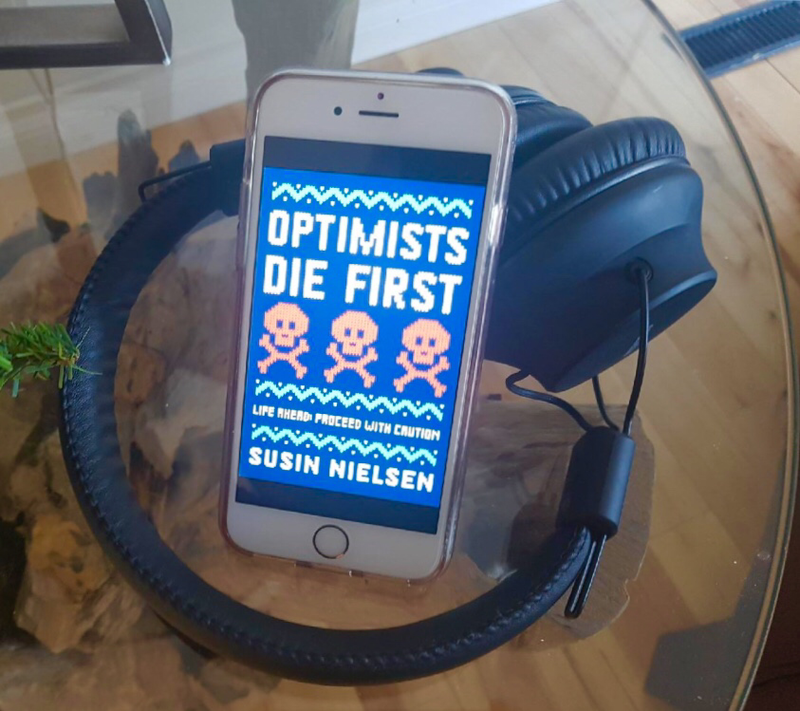 Joy’s Pick for Contemporary Young Adult: Optimists Die First. This will be no surprise to anyone who follows me: I am a devoted fan of Susin Nielsen and wish to all good things that one day I'll get a chance to learn about storytelling from her. She’s a master at conquering life's sadness with humour and wit and so I deeply admire her…even though I’m not an optimist! 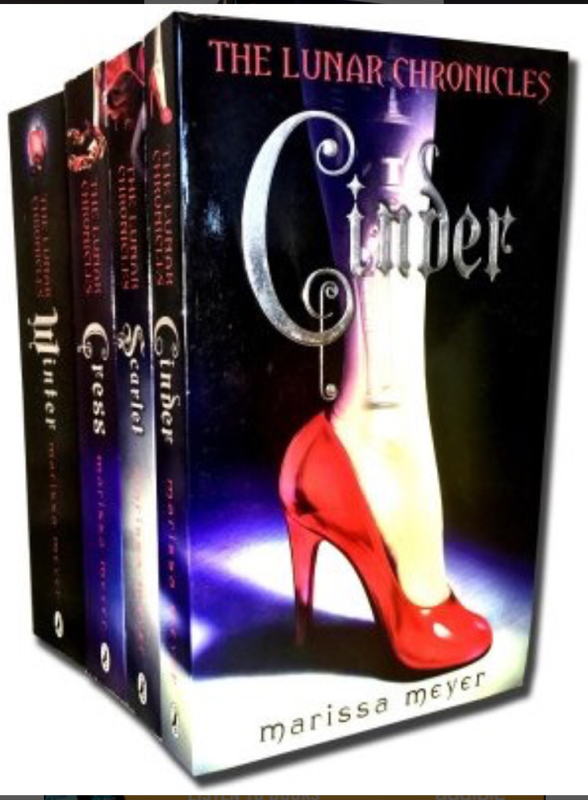 ​Joy’s Pick for Fantasy Series: The Lunar Chronicles. I DEVOURED this series; started Cinder on audio and then bought the rest back to back on kindle because bookstores aren’t open at midnight when you finish one book and NEED, no MUST start the next. 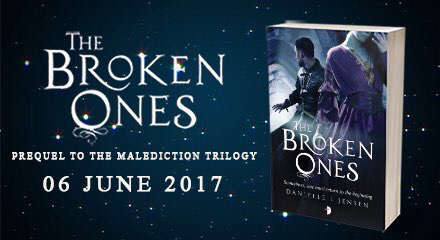 Alas, first few books are better than the last, but isn’t that almost a staple in YA fantasy? 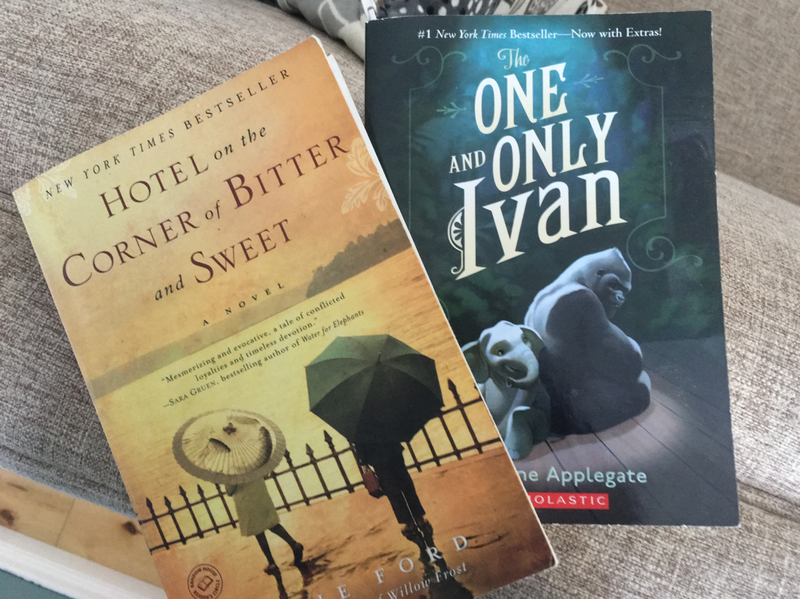 Joy’s Pick for Middle Grade: The One and Only Ivan. Yup, almost every book on this list is a tear-jerker. My personal philosophy is: if a book does not make you feel anything than it might not be worth reading. That’s me though. This book was a recommendation from my 9 year old daughter and it’ll kick you in the gut. But again, it’s lovely and real and this one definitely has a happy ending. Joy’s Pick for WW2 Story: Hotel on the Corner of Bitter and Sweet. I read three WW2 books in 2018 and three in 2017. I’m choosing Bitter and Sweet because every other WW2 book I read in two years takes place in France. They were all super good (and many had fabulous female protagonists! Shout out to The Alice Network who may have took it otherwise) but it was a nice change to see how the war impacted people on the other side of the globe. This book centres around the internment of Japanese Americans. ​Joy’s Pick for Suspense: I’m recommending Fierce Kingdom for this category although I’m pulled toward The Child Finder for sure. Fierce Kingdom happens all within one day so the tension stays high. As a Mom it felt incredibly real and relatable. Joy’s Top Pick if you Really Want to Ugly Cry as early as Page 2: The Absolutely True Diary of a Part-Time Indian. Intersectionality of poverty and racism, yet the main character is incredibly loveable. You can’t help but love this one. If you happen to pick up (and read) any of these books I’d love to know what you think. Wishing everyone a 2019 with loads of good stories, the odd Barre class (or two) and perhaps a stolen chocolate to sweeten the deal along the way. Happy New Year! Pam Wheeler checked every box. Happy marriage? Check. Fantastic kid? Check. Booming career? Check. So when her husband dies in a freak accident and their DIY empire goes on life support, Pam must fix the relationship with her troubled and grief-stricken daughter and save the family business. Sounds interesting, right? 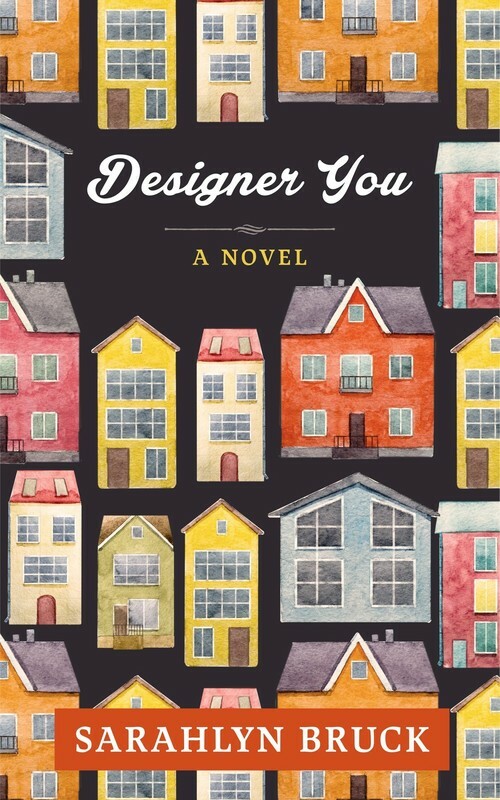 Author Sarahlyn Bruck writes contemporary women's fiction and her debut novel, Designer You is set to publish in just a few short hours. 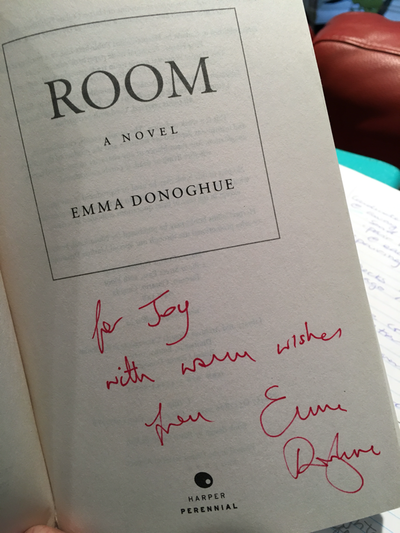 I recently had a chance to chat with her and learn more about the inspiration behind her book. Why not pour yourself a nice cup of tea (or a large glass of wine because sometimes that's just what's needed) and listen in? 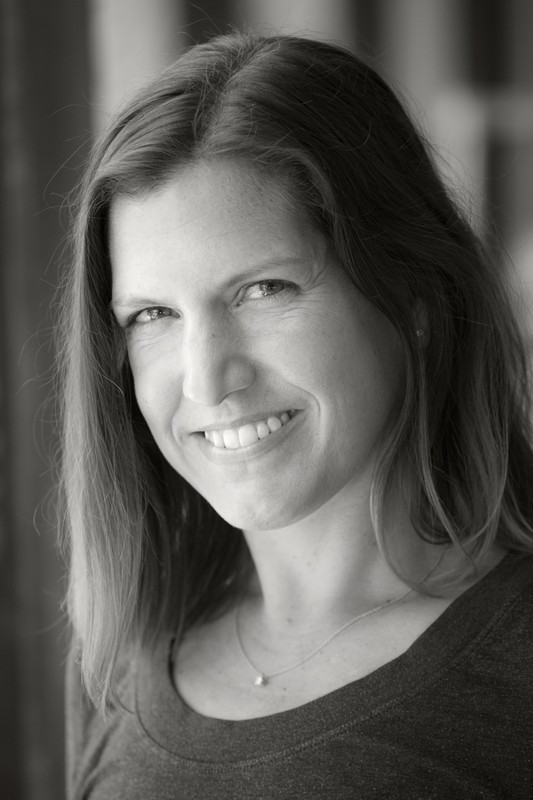 Joy: The main character in Designer You works within the home renovation industry. As a former addict of the original Trading Spaces (yes, I do own my own coveted Trading Spaces smock) and having lived through both a home and travel trailer DIY reno, I was instantly fascinated. Is home reno and design a particular passion of yours and why did you choose to write about it? Sarahlyn: We live in an old Philadelphia townhome—built in 1869. Our family loves the house and we live in a really special neighborhood with great friends who share a love of old homes. In fact, Pam and Grace’s house was modeled after mine. And I think it’d be tough to live in one of these homes if you didn’t have at least a passing interest in renovation and design—they take a lot of maintenance. When we moved into the house six years ago, the third floor was a shell. It didn’t even have walls yet and the floor was a mess. My husband put up walls and installed the kitchenette. We had the floors refinished and built in a full bathroom. It’s now a very functional little apartment. And my husband built the adjacent deck, too (which inspired the beginning of my book, FYI). Designer You explores the themes of grief, loss and moving on. When I read the Designer You blurb this resonated with me as there are similar themes in my debut, Out of Play. What type of research did you do? And can you tell us what you learned about yourself from writing on these topics? Sarahlyn: Great question! My mom lost my dad when they were both only 55, an age when my siblings and I were starting to leave the nest and my parents were looking forward to the next stage in both their lives. And I had just gotten married which at the time seemed like such a weird juxtaposition—I was at the beginning of this life with my new husband and my mom was sadly at the end. And I watched her grieve and pick herself up and move forward. She had to completely redefine her life and adjust her identity. She’s an incredible, strong woman. And very happy today! Joy: I'm very sorry to hear. It sounds like it was a very pivotal time in your life. And you mom--I can't help but be inspired just listening to her story. The central characters in Designer You are not only married, but run a business together. That means they probably spend...oh, I don't know...24/7 together! I'm slightly amazed by couples who can do this and maintain a happy and healthy relationship. Can you see yourself doing this or are you more of an absence-makes-the-heart-grow-fonder kind of person? Sarahlyn: Oh goodness, I don’t think my husband and I could work like Pam and Nate. We work very differently, and what we have now—I work primarily from home, he outside the home—suits us both just fine. I need long stretches of quiet time to focus and concentrate. He likes noise and energy buzzing around him. I think if we worked together, we’d both drive each other crazy. Right now, we look forward to seeing each other at the end of the day. Joy: If you were able to have a glass of wine and chat with Pam, the main character of Designer You, what would you want to ask her? What characteristic do you find most inspiring about her? Sarahlyn: I’d want to ask her about her eye for design detail. I am missing the design gene, and I’d love to pick her brain over a glass of wine and ask her advice about what to do in my own home! One last question: where can we get our hands on a copy of Designer You? And where can readers find out more about you? Thank YOU, Joy! It’s been so much fun. I appreciate the opportunity to talk a little about my book. You can find Designer You here. We are one month into the New Year and I find myself stuck in the middle of what feels to be a very long prairie winter. It’s not been all bad; we’ve a new puppy named Frank, my kids are healthy and I’m writing up a storm on my current project. Another highlight was meeting this great group of women a few weeks ago. 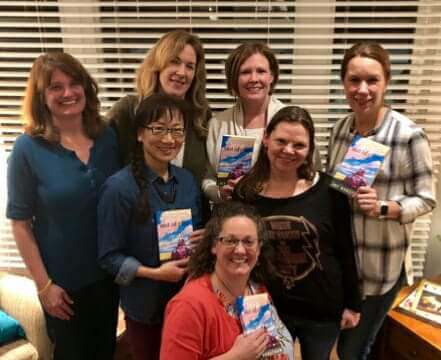 Can you believe their bookclub has been going strong for 17 years? That's right, 17! Just think how many good books a person could enjoy in seventeen years. ​I also joined my first book club that same year, 2001. Unfortunately it went the way of many clubs: a slow descent from reading club to wine drinking club (that’s not all bad, right?). Before we ended things we’d read a few very good books, some of which I may not have discovered without the bookclub. The following are a few I still think about from time to time. In my opinion that’s a sign of a darn good read. ​If you’re thinking of starting a bookclub, or find yours is hitting a rough patch, check out these 8 tips from a few ultra experienced bookclubbers. ​And for writers: have you gotten that first call inviting you to a bookclub conversation about your book? Don't get too nervous. Visiting with avid readers who’ve read your book and are ready to dish can be great fun! 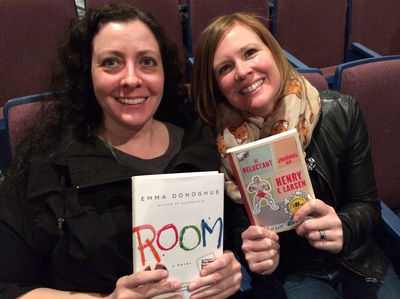 Check out my suggestions for visiting bookclubs as a guest author here. I’ve passed the one year anniversary of Out of Play. It felt like it took forever to write, revise, publish, and take those first steps into the big ole’ world of books. But then, just like a real baby, the damn thing turned one before I knew it. To celebrate I’ll be visiting some fabulous book bloggers in November. 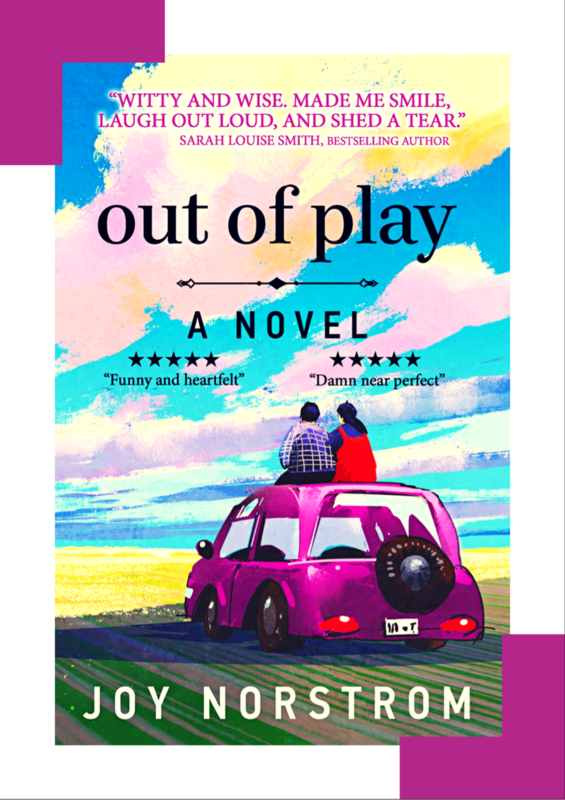 There will be plenty of author interviews about the writing process, reviews of Out of Play, and tidbits about my current project (which has been so fun to write). 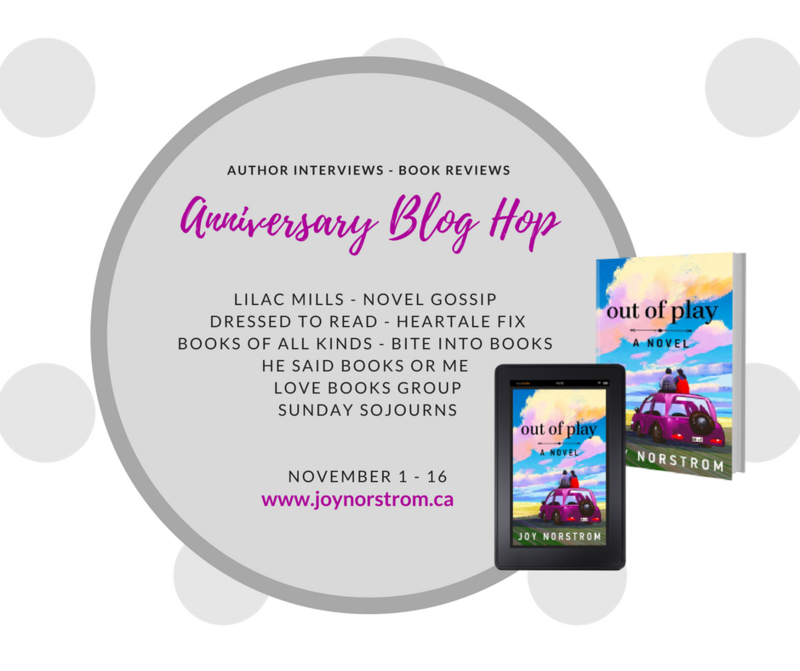 If you’ve read and enjoyed Out of Play, then make sure to check out what other books my host bloggers have enjoyed. This is a great way to find your next favourite read. I’ll update this post with live links once they are ready, so watch this space. And here, have a piece of cake. It’s time to celebrate! I want to tell you about an amazing event that occurs every summer in Calgary. Before you scream "Yee haw!" and scramble to find your cowboy hat, let me assure you I'm not referring to the Stampede. From August 11th to the 13th, 750 readers, writers, artists and publishers come together to celebrate the written word. While there is much socializing to be had, a significant portion of the weekend is spent in various learning opportunities. Which, let me nerd out on you for a minute, I LOVE! Authors who deal in humour discuss the rewards and dangers of publishing humorous fiction. Not every writer feels compelled towards including social responsibility in their craft, but for some it is a foundational part of their work. Join us as our panel discusses how artists play a role in fostering positive social change and why that role is vitally important. I'm curious what your thoughts are on these two topics. • Do you have favourite authors who use humour effectively to engage readers and move the storyline forward? • When does humour, in your opinion, go to far? •Do you see a role for writers in addressing and bringing attention to social issues? • Are there authors you particularly admire who do a good job of balancing story and social justice? I'll be traveling to Peace River Country later this month, although it won't be in a purple car! 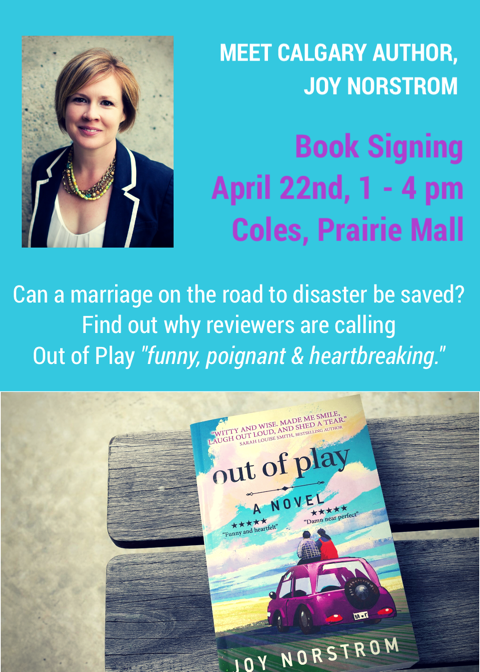 If you happen to be near Prairie Mall in Grande Prairie on Saturday, April 22nd, please stop and say hello! I'll be at the Coles signing books, chatting with readers and generally looking forward to meeting some of my northern neighbours. I’m at that stage of motherhood where everything seems to be the last time. With my eldest turning (gasp!) double-digits and my youngest believing she doesn’t need help with choosing her clothes, putting her hair up or painting her nails (double gasp! That's new carpet!) it’s clear we are in the midst of a momentous family transition. Gone are the days of diapers and even spray parks and sidewalk chalk are starting to take a backseat. We are in a solid school-concerts-and-science-fairs-BFFs-and-sleepovers time of life. Is it just me, or is being a parent pretty much a combination of "I’m exhausted as hell yet I don’t want this time to end?" 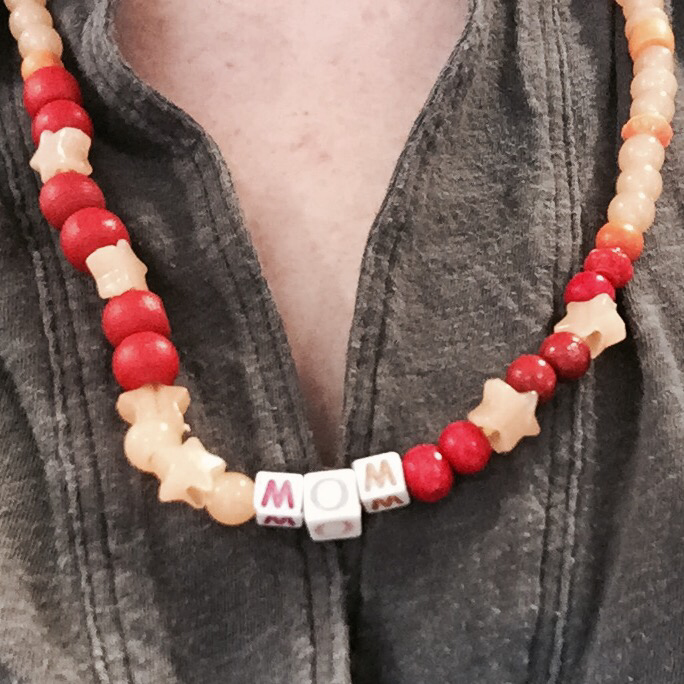 So, when my youngest made me a lovely MOM necklace this weekend, I knew that it might be the last one. Can there really be many more upside-down W’s masquerading as M’s in the bead bag for me? Sadly, I don't think so. And so this necklace will be cherished and kept sacred for those days my daughters spend more time away from us than with us. 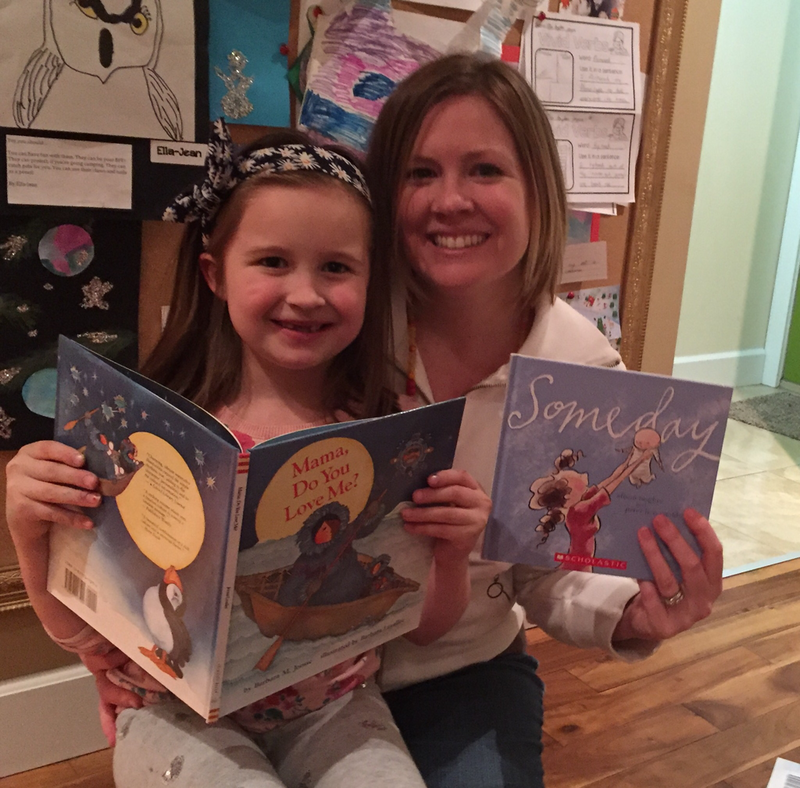 In honour of my excellent years mothering two beautiful young women, I am sharing two of our favourite mother-daughter picture book recommendations. Mama Do You Love Me? by Barbara M. Joosse has amazing art inspired by the Inuit culture. I love how it captures a mother’s enduring love through even the most frustrating of days. The illustrator is Barbara Lavallee. The second, Someday by Alison McGhee has beautiful, clean writing to go with beautiful, clean illustrations. I can’t read it without my heart squeezing. The illustrator is Peter H. Reynolds. 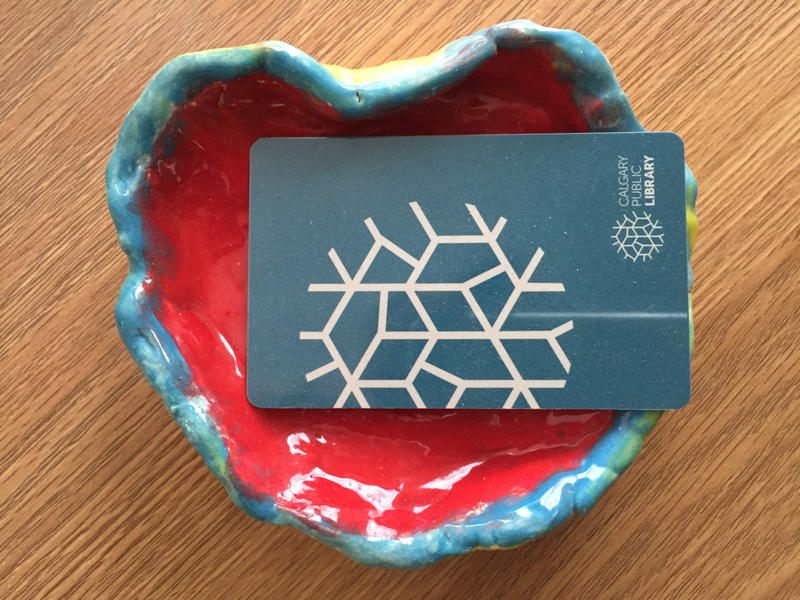 Hands up to our Public Libraries! I wanted to send a quick shout out to the Calgary Public Library for carrying Out of Play. ​I've borrowed all kinds of print books from the library, but it was just recently our family discovered AUDIO BOOKS! And yes, they are worth 'ALL CAPS' status. If you disagree, then perhaps you've not travelled any great distance with children in your car. 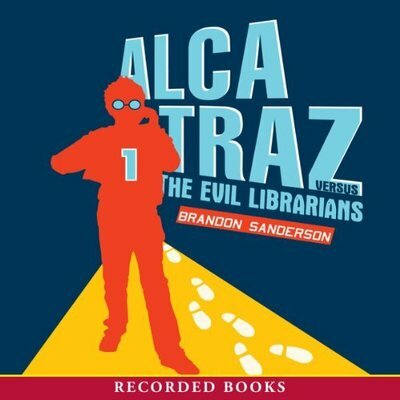 ​The best thing about audio books (aside from reduced levels of sibling conflict) was everyone in the car enjoyed them--from ages six to forty. Again, how great is that? 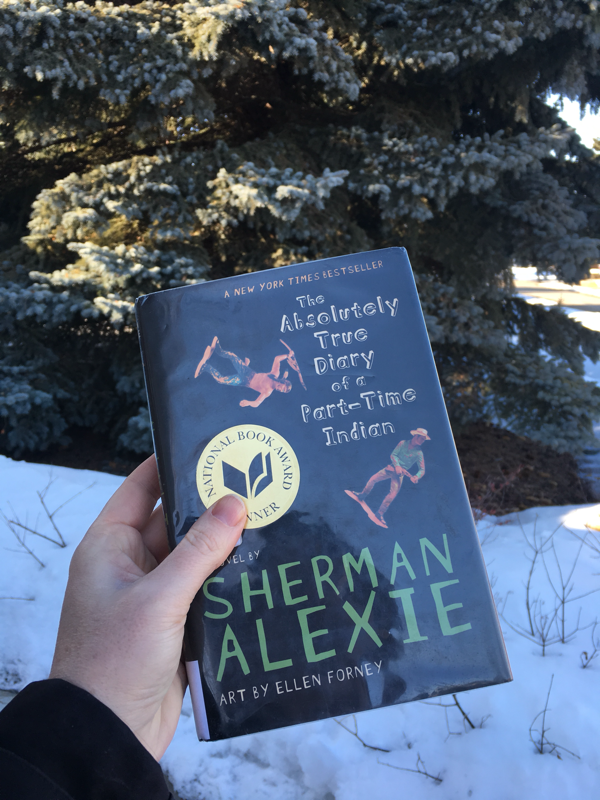 Here are three family-friendly audio-treasures we borrowed from the Calgary Public Library, all of which we enjoyed immensely. ​This was my children's first taste of audio books and I can't say who loved it more: the kids or their dad. It's the first in a series and kept us going on a rather long journey to the west coast and back. 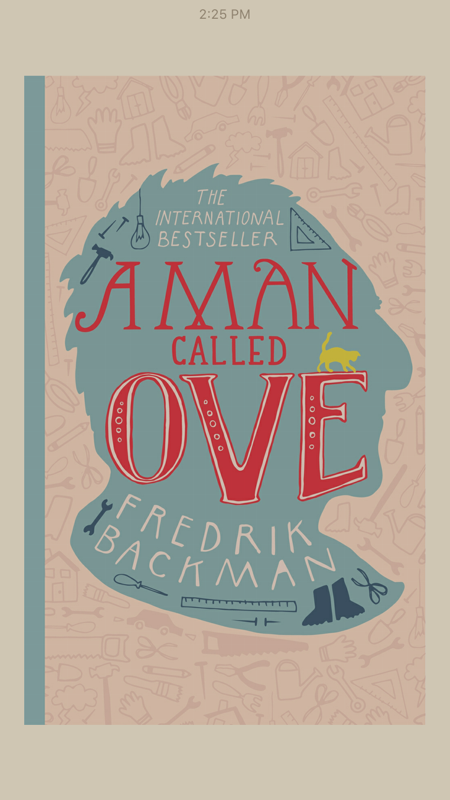 Five stars, hands down, for humour, adventure, and interesting characters. ​This is actually the second in a series, and our family listened to them out of order. 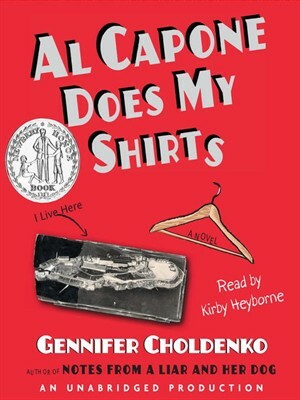 What is SPECTACULAR about these books is very authentic character development of the main character's sister, Natalie. Natalie is a person with autism, living in 1930s USA. I highly recommend this series for children who enjoy mysteries and for parents who want to explore the themes of inclusion and diversity as a family unit. ​Okay, so fun! 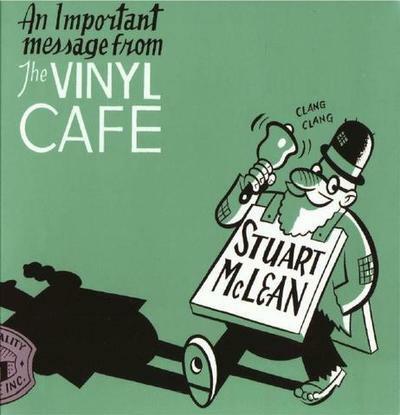 The Vinyl Café series is Canadiana storytelling at it's ultimate. Stuart McLean is my hero. 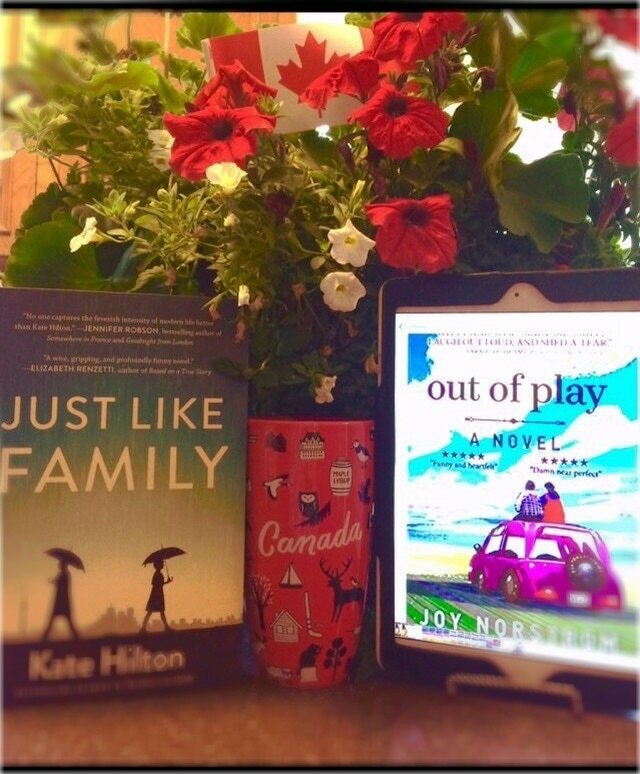 ​All of these titles are available in print and audio at the Calgary Public Library and bookstores. Further, they are all series which is great for those who love to follow a set of characters from one story to the next.